Thank you for considering a donation to MTEF. Your investment provides funding that allows the Foundation to provide resources to educators, administrators, and school related groups for innovative educational programs. YOU can make a difference with your investment in MT Students!  If you would like to support MTEF, you may donate in a variety of ways. Contact us to learn more about a program. Thank you for supporting MTEF! Your business could earn state tax credits for donating to EITC-approved organizations. MTEF is approved. Learn more about Educational Improvement Tax Credits. Partner with MTEF Community Partners and have YOUR logo viewed by nearly two million people each year. Learn more about how your business can benefit when it supports MTEF. Recognize special MTSD teachers and staff with a donation in their name to the Manheim Township Educational Foundation. Recognized faculty will receive a certificate with your name on it and the Foundation will gift a book to their school's library. * Your donation returns to Manheim Township students in the form of grants and support for educational programs. Download the form. The Extraordinary Give is a 24 hour period where all donations made online to Lancaster Community Foundation (extragive.org) and directed to one of the participating organizations (IE the Manheim Township Educational Foundation) are partially matched by the Community Foundation. That means donations to the MTEF go even farther on this day. The Extraordinary Give is typically held the third Friday of November. MTSD employees can support MTEF by contributing directly from their pay check. Every dollar contributed goes directly to fund the grants awarded by MTEF. Download the form. MTEF oversees several Memorial Funds. If you would like to establish a Memorial Endowment, please contact MTEF for details. MTEF has exclusive naming rights for MTSD facilities. Through generous donations, for example, Westfield Insurance has official naming rights for the MTHS Baseball Field. If you would like to purchase the naming rights to a classroom, common area, or athletic venue, please contact our Executive Director for more information. Checks or money orders may be made payable to MTEF.